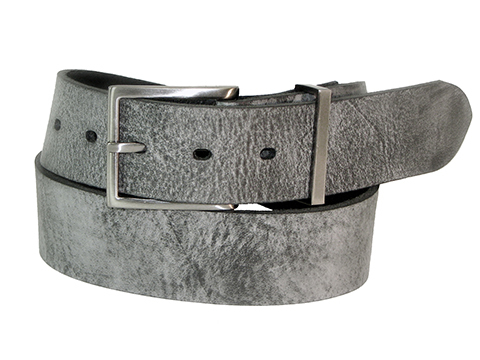 This belt is an alternate version of our classic Style 418. It is made from high quality soft marbled grey or black Italian leather. All other specifications are the same as the standard version.